Calibration Pump is used with manometer or other pressure standard. 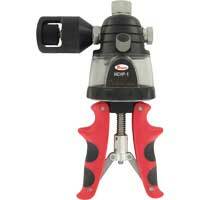 Includes volume adjuster enabling fine pressure control and bleed valve. Includes barbed fitting, tee connector, and three thiry-six inch lengths of vinyl tubing. Hand Pump provides a dual source of pneumatic pressure and vacuum for verifying the calibration pressure instrumentation. 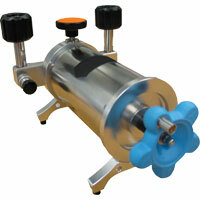 Compact pump is designed for portability and single hand operation. 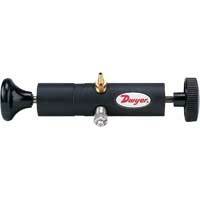 Pneumatic Hand Pump is the most dependable for rugged pump applications. 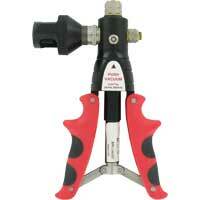 Ideal for checking calibration of pressure or vacuum gages, switches, or transmitters. 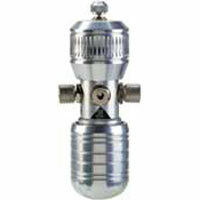 Aspirator Bulb are used to source pressure for calibration and leak checking tests. Applications include calibration and leak check testing. Hydraulic Calibration Hand Pump utilizes a fully adjustable stroke control that allows for quick priming, easy pumping and fast pressure generation. Stainless steel construction guarantee leak free operation. Pneumatic Calibration Hand Pump comfortably sources pressure and vacuum to check calibration of gages, switches, transmitters, and recorders. The dual o-rings on all pistons ensure zero leakage. 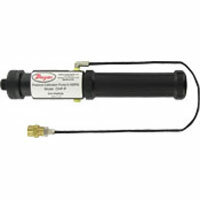 Low Pressure Calibration Pump is a low air pressure source with the ability to easily adjust and stabilize. Ideal for calibrating pressure transducers, precision pressure gages and other pressure instruments. Low Pressure Calibration Pump is able to generate pressure and vacuum for adjusting or calibrating pressure gages, transmitters, or switches. Fine adjustment valve on this pump ensures precise measurements.